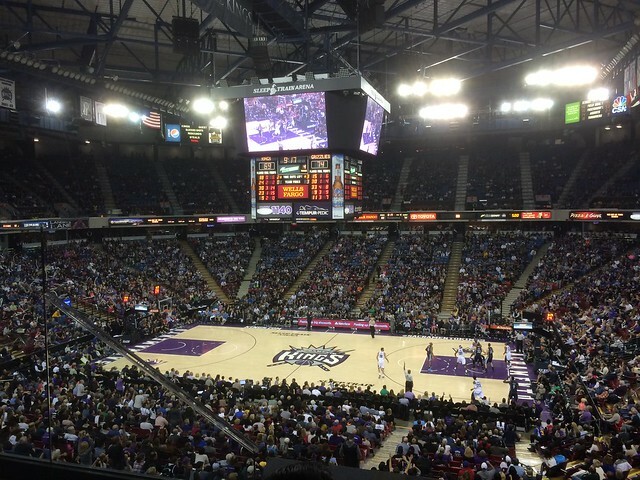 Jack and I went to the Sacramento Kings versus Memphis Grizzlies NBA Basketball game. Although the Kings closed the Grizzlies lead to 3 points with 6 minutes to go in the fourth quarter, the Kings lost the game by the score of 97 to 85. We went to this game hoping to see DeMarcus Cousin battling Zach Randolph and Marc Gasol. Unfortunately, Cousins was out sick. Zach Randolph led all scorers with 22 points on 8 for 16 from the field and 6 for 10 from the free throw line. Randolph added 12 rebounds. Gasol had 18 points. Rudy Guy was the leading scorer for the Kings. He had 20 points on 7 for 14 from the field and 6 for 7 from the free throw line. Playing in place of Cousins, Reggie Evans had 17 points and 20 rebounds!